The inspiration for many of James’ works is taken from a long artistic tradition which highlights the temporality and fragility of life. 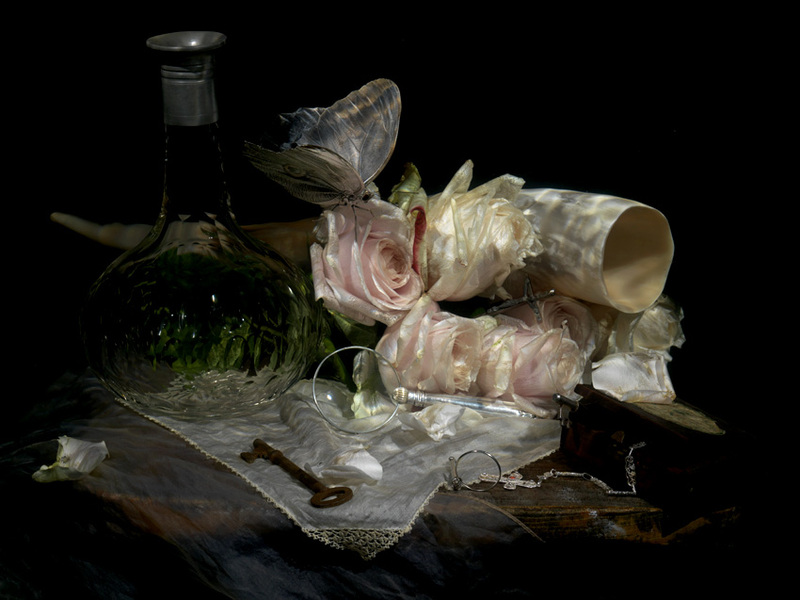 This is particularly evident in his series Vanitas which is directly influenced by the 17th century Dutch masters. These works depict objects such as decaying fruit, cut flowers and valuable items to illustrate the transience of life and earthly pleasures. The subtle yet pervading presence of water in these works not only changes the aesthetics but symbolises the power that water has both to give life and to take it away. The underlying messages in these works have been the focus of James’ artistic output for almost a decade and his various explorations of this subject-matter will converge in this exhibition. The works will be produced on an unprecedented large format scale, so as to completely envelop the viewer.